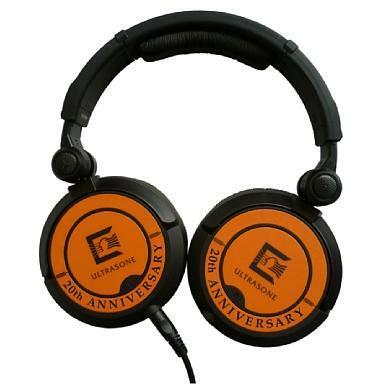 20th anniversary, HiFi/audiophile headphone from Ultrasone. fifours's review (This content has been automatically translated from French)" Very good!" 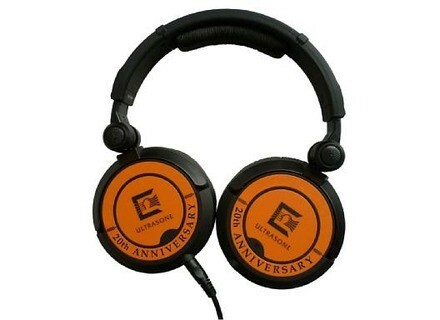 I just got this headphone that I chose for its price and reputation of the brand. Next gear, it was a replica of the Pro-650 but in special colors anniversary, except for technical specifications are identical, and for her I guess so too. Having said this headset sounds great, the bass is very clear and very present, the treble without being too pushy, mediums are certainly a little behind in quality but I must say that compared to its big brother the pro-2900. With the 2900 was more feeling in the voice, with the anniversary are a little behind as trapped, but you hear what the singer says the same, but the media are not good without being stunning, especially at this price. Otherwise the stuff is like the pro-2900 or 650, carrying case, two types of cable, leatherette ear parts as those mounted, everything is there. The difference with the pro-650 is the price, I unearthed at € 140 shipping gratos against € 230 to 650 is really nice from Ultrasone! (And thank you also for the port MusicStore free). This is one of the best deals that I know, it'll be good.